community’s schools, but little progress has been made to ensure that all of our children have access to high quality school options. Initiatives and programs have come and gone, many with promising outcomes, but no systemic change has occurred to ensure significantly better life chances and outcomes for the children in North Tulsa. 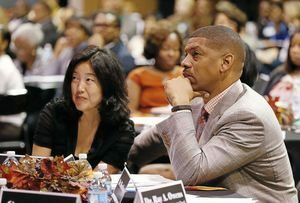 In 2014, a group of more than 300 African-American leaders in the city gathered to change this trajectory through a community-based effort. The leaders gathered at the Metropolitan Baptist Church (the MET) in Tulsa for two separate “Education Townhall” meetings to discuss the state of public education in the city and, in particular, the academic achievement levels of African-American students. 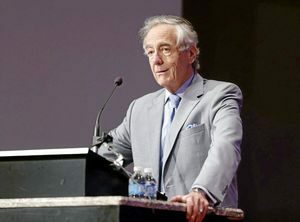 Many other prominent individuals attended these meetings, such as then-Mayor of Tulsa, Dewey Bartlett; then-Superintendent of Tulsa Public Schools, Keith Ballard; Tulsa philanthropist George Kaiser; Impact Tulsa CEO and former Mayor, Kathy Taylor; along with many other citywide leaders. Tulsa lag behind their peers academically with too many stuck in failing schools with little chance of changing their circumstance, and 2) there is a real desire from African-American leaders to change this trajectory through a community-based effort. The group determined that if the community could positively impact one seven-school feeder pattern in North Tulsa, then the 4,800 Black students currently attending failing schools would have access to significantly improved educational opportunities. With this vision in mind, the group decided to act, and the Tulsa C.A.R.E. 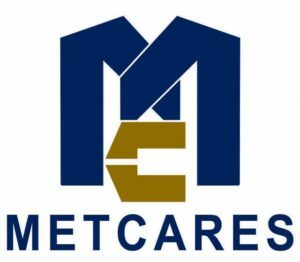 (Creating Action to Reform Education) Alliance, now Met Cares Foundation (MCF), was born. 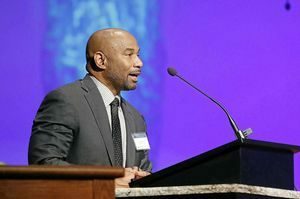 MCF, a secular not-for-profit organization, is made up of some of the most prominent African-American leaders in Tulsa. They are an impressive group of individuals from a broad range of backgrounds and professions who are determined to rebuild North Tulsa into a thriving community and reclaim its stature of Black excellence. In December 2016, MCF entered into a formal partnership with the Tulsa Public Schools to establish the first ever “partnership school” in the state of Oklahoma – with that, Greenwood Leadership Academy was born.